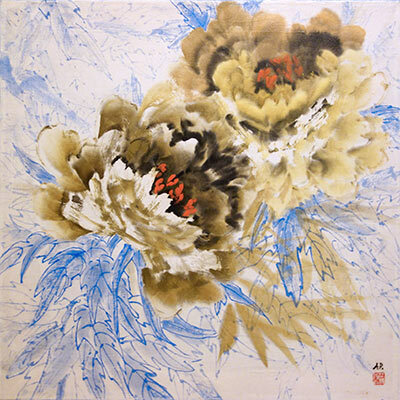 My painting "Peonies in Bloom" received a Special Recognition award at the 8th Annual “All Women” Online Art Exhibition. 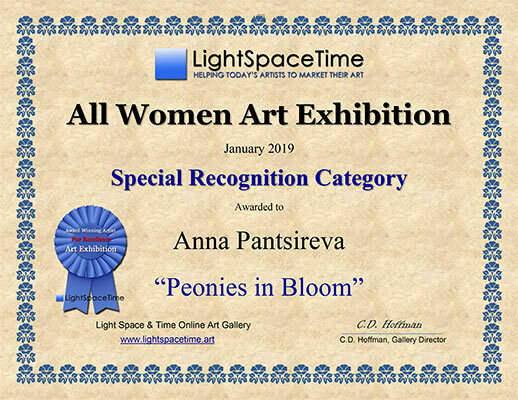 // PALM SPRINGS, CA – January 1, 2019 / -- Light Space & Time Online Art Gallery is pleased to announce that its January 2019 art exhibition, the 8th Annual “All Women” Online Art Exhibition is now posted on their website and can be viewed online. This is an open themed art exhibition where as women artists only, could submit art on any subject matter. The gallery received and judged 909 entries from 24 different countries and from 37 different states. The gallery also selected artists for Special Merit and Special Recognition awards as well.